From “killers” to “second layer solutions looking to support it”, the evolution of the Ethereum imitators/innovators market has been an interesting thing to behold. At a certain point in the last couple of years, crypto projects realized that straight up replacing currently established giants won’t be easy. Most of the actual “superior technology” and “blockchain 3.0” talk fell between the lines of vaporware and scams, leading investors towards hunkering down and clinging onto the faulty, but reliable code of old dogs like Bitcoin and Ethereum. As such, most crypto up-and-comers decided to, instead of reinventing the blockchain, offer solutions for longstanding issues with privacy, scalability, fungibility etc. that market leaders have been hampered with in the past. One project that took the tried and tested Ethereum formula and added features that enable it to scale on a commercial level is TomoChain. TomoChain markets itself as an “innovative solution” to the problem of scalability that troubled Ethereum ever since its inception. It is a well-known fact that Ethereum’s PoW algorithm, while making the network secure and fair, struggles to process transaction throughputs greater than 25 txps. Vitalik Buterin, the creator of Ethereum, has been working on fixing this problem; solutions like the upcoming Casper protocol, Plasma, and Raiden Network are just some of the in-house developed ones. TomoChain looks to swoop in with their own solution, a scalable blockchain that will be able to support thousands of transactions per second in the new upcoming Internet of Value. Internet of Value is envisioned as a blockchain/Internet-based marketplace of values, digital assets and information that is transparent, secure, programmable, and globally accessible. TomoChain intends to support horizontal scaling which would create a network of chains that will offer instant confirmations and near zero transaction fees, acting as the ideal solution for decentralized apps, token issuances and token integrations for small and big businesses. TomoChain blockchain (mainnet launched in December of 2018) operates on a system of 150 masternodes supporting an algorithm called Proof-of-Stake Voting (POSV). To become a masternode candidate, holders will need to stake at least 50 thousand TOMO tokens. Other coin holders/stakers vote on these candidates to determine which ones make the cut to become TomoChain blockchain validators. 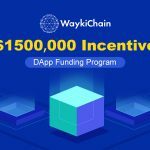 Their votes are credited through a Voting dApp; the user is listed in the app after depositing tokens. Once confirmed, masternodes will create blocks in a round robin/double validation powered consensus model. At the end of each epoch (block creation period), the masternodes that have signed finalized blocks are rewarded. Stakers who voted for those masternodes will also be rewarded. TomoChain will also utilize technologies like double validation, smart contract staking and uniform randomization to ensure chain stability and finality. All of this will be a part of the effort to create a blockchain that will include technological solutions like sharding, EVM parallelization, and private-chain generation, a blockchain that will ultimately be the scalable platform capable of fulfilling TomoChain creators’ vision. The project has a reward system in place used to motivate masternodes to “stay in line” and keep performing their validator duties in a non-malicious manner. This rewards system will extend onto the developers and early adopters/contributors to the network, a built-in economic incentive to create valuable content that will help “bootstrap” the social network’s knowledge base until a network effect kicks in. The entire rewards system will be based on the project’s token, called TomoCoin (ticker TOMO), which is expected to gain value from the increased network activity as well. TomoCoin is the official cryptocurrency of the TomoChain blockchain. There is a fixed supply of 100 million tokens which were initially of the ERC20, Ethereum-based standard but have since switched onto the TomoChain mainnet blockchain. The trading ticker symbol for TomoCoins is TOMO. The token will be used as the driving force behind TomoChain’s economy, stimulating development of the chain and the ecosystem, being used as a reward to incentivize members of the ecosystem, and being used in on-chain governance. It has a market cap of around $37 million, with a daily trade volume of just below $1 million and a circulating supply of 59,461,225 TOMO, at the moment of writing. TomoChain is usually paired with ETH and BTC in trading and is currently available on exchanges like Hotbit, KuCoin, Vinex, Gate.io, DDEX and Dex.top. The fact that TOMO hasn’t been listed on a major trading exchange shows you that the token certainly has potential for financial growth in the near future. The most interesting piece of TomoChain ecosystem is the Trust wallet, secure multi-coin wallet application for Android and iOS which has recently been purchased by Binance. TomoChain also list projects like MetaMask and MyEtherWallet as parts of their ecosystem, even though those are based on Ethereum. Long Vuong, Founder & CEO – Also operates as TomoChain’s Project Lead, Vuong is the co-founder and the former project lead of the NEM blockchain (New Economy Movement). Le Ho, Co-founder & CFO – Ms. Ho is a CFA charterholder with 10+ years of experience in investment and finance. Formerly employed as Senior Investment Manager at BVIM and Director of Investment Banking Division at HSC Securities Company. Son Nguyen, Co-founder & CTO – Son is another valuable member of the team, citing the founding of Blockchain Developer group (currently keeps more than 800 active members under its wing) as his biggest accomplishment, other than his Master degree in engineering. Tung Hoang, Co-founder & PM – Tung is an experienced FullStack Developer & Smart Contract Developer and is currently employed as the Product Manager of Tomo Wallet. Tu Nguyen, Blockchain Lead Engineer – Seasoned Blockchain and Cloud Computing engineering expert. Authorized Developer of Apache Software Foundation, Cloud Native Computing Foundation. Lead engineer of multiple cloud computing open-source softwares (kubeless, kubeapps, kompose, kubewatch). Master degree in Distributed Systems. Overall, Vietnam-based TomoChain seems to have a decent mix of talented individuals who have the expertise required to create and operate a quality blockchain. Additionally, the team is advised by experts such as Willis Wee, Founder and CEO of Tech in Asia, Roger Lim, General Partner at NEO Global Capital, and Thuc Vu, CEO and co-founder of Kambria and OhmniLabs. Probably the biggest name that you’ll find on TomoChain’s list of investors is the one of NEO, the so called “Chinese Ethereum”. It an interesting investor to say the least, as both projects are looking to deliver a product very similar to Ethereum; the future dynamics between NEO/TomoChain will probably include some joint work and expertize/technology sharing which should be beneficial for both in the long term. Other names that took notice of Tomo and invested in it include Signum Capital, Global Blockchain, Hashe, Coefficient Ventures, One Block, Connect Capital, Callisto Capital and Connect Capital. TomoChain already has a couple of projects partnered up as a part of their ecosystem. Projects like NEM, Devery, Binance, Wanchain, Huobi, Kyber, ReplyBlock, Bitlearn, Binkabi, BIgbom, Vnext, Midas Protocol, 0chain, IoTBlock, Tech In Asia are either looking to develop applications on top of TomoChain infrastructure or are closely connected to the project’s team. Tomo’s key people are also tied to the Vietnam Blockchain Developers group through Son Nguyen and Long Vuong. Other products like TomoScan, TomoMaster, TomoChain and TomoX DEX server are being actively worked on and should see updates released somewhere around the time of writing. What can we deduce from the information presented above? Is TomoChain the project to “kill” Ethereum or at least take said project and the entire world of cryptocurrency to the next level? While their vision certainly sees them doing so, it’s hard to predict anything at this moment in time. TomoChain team is actively developing new features to their existing infrastructure, but so is Ethereum and so are NEO, Zilliqa, Cardano, EOS, and numerous other Ethereum clones that are looking to become key market players. Only time will tell which one of these projects will bring us the scalable, efficient, cheap, and user friendly blockchain of the future that everyone is looking forward to.